Do you love latin dance? And wine from Argentina? Here is an event for you. Enjoy. The sights, sounds, and sips of Latin America come to Vancouver for one night only with Flamenco, Tango & Wine in One Night, a celebration of Argentinian wine and award-winning entertainment presented by Latincouver in collaboration with Flamenco Rosario. Join The dancers from Vancouver’s Flamenco Rosario and Argentine Tango Lab for an authentic taste of flamenco and tango in an intimate setting, while indulging in a flight of Argentinian wines curated by an on-site sommelier. Check out these wine, whisky, and spirits events happening around Vancouver. Bordeaux release is this month. Wines of Bodega Garzon in Uruguay should not be missed. Enjoy! Create your own Caesar with Tito’s Handmade Vodka and Mott’s Clamato! A gift with purchase of Mott’s Clamato will be available for every Tito’s Handmade Vodka purchase. Walk through the Isles. From the non-peated Laddie to the heavily peated Port Charlotte, Bruichladdich is anything but the typical whisky. Tickets are $20 and may be purchased at any BC Liquor Store location. Discover wines from the world’s most exciting new wine region, Uruguay! Sample the award-winning wines made by internationally renowned consultant winemaker Alberto Antonini at Bodega Garzon. Join us at select BC Liquor Stores across the province for the much-awaited release of the 2014 vintage of Bordeaux! This is the day that wine lovers and avid collectors will line up to secure their purchases of 2014’s most desirable wines. So come and visit BC Liquor Stores to stake your claim on the rarest wines of the year. Come join Stuart Brown, Whisky Consultant for Diageo’s preeminent release as he guides you through some of Scotland’s most exceptional expressions of Scotch whisky including the Dalwhinnie, Caol Ila, and the Oban. Learn about some rare, old, and unusual bottlings from famous and closed distilleries. The tutored tasting will present the small, annual series of Special Release Single Malt Scotch Whiskies from Diageo, all limited edition and usually bottled at cask strength. Tickets are $50 and may be purchased at any BC Liquor Store location. Spanish wines are fabulous for any occasion! Try the wide range of grape varieties and the many styles of Spanish wines – Albariño, Verdejo, Garnacha, Mencia and Tempranillo along with delicious rosados, cavas, and even the unique wine of Jerez! Join us in a special sit down tasting featuring a few Spirit Release whiskies from Independent Bottler, Douglas Laing. Taste the rare 25-Year-Old Ardbeg plus two other single grain whiskies, the Cameronbridge 25-Year-Old, and the Cambus 25-Year-Old (one from a closed distillery). Tickets are $35 and may be purchased at any BC Liquor Store location. *Unfortunately, this event is cancelled. If you have purchased a ticket, please go to BC Liquor Stores to get your refund. Join Diabolica for some spooky treats paired with a selection of their delicious wines including the new Diabolica Reincarnation. Glow in the dark silicone glasses will be given away with every purchase. Taste the perfect pairing of Sleeman Original Draught and McSweeney’s Jerky! This month’s featured jerky flavour is Canadian Maple Pork Jerky. Taste the newest and most unique wine, the 1000 Stories Bourbon Barrel Aged Zinfandel! Discover their story and find out what makes this wine so special. This Halloween season, wow your guests with a unique selection of products to serve with food pairing ideas from neighbouring City Market. Try a delectable red, a mouth-watering white, an exceptional whisky, and a delightful Prosecco exclusive to BC Liquor Stores. City Market will in store to provide spooky Halloween food ideas you can easily prepare at home. Luke Russ, Commercial Director of O’Shaughnessy Winery in Napa Valley is coming to Vancouver. Join him in an exclusive sit down educational tasting featuring a selection of outstanding premium California wines including the O’Shaughnessy Howell Mountain Cabernet Sauvignon. Do you dare taste the wines from the Devil’s Cellar? Celebrate Halloween with Casillero del Diablo and receive a light up devil’s horns headband with every purchase. Join us for a special Sumac Ridge Estate Winery cheese and wine pairing with a special gift with purchase – buy 2 bottles and receive a premium Italian 500ml Extra Virgin Olive Oil – perfect for Thanksgiving! *Please visit www.bcliquorstores.com for updates regarding 2014 Bordeaux. *Time of tasting varies per store. Please check the announcement board at each BC Liquor Store location for the most up to date schedule. 8th & Cambie – 5:00 p.m. – 7:00 p.m.
39th & Cambie – 4:30 p.m. – 6:00 p.m.
Abbotsford – 4:00 p.m. – 6:00 p.m.
Alberni & Bute – 4:30 p.m. – 6:30 p.m.
Dunbar – 4:30 p.m. – 6:30 p.m.
Fleetwood – 3:00 p.m. – 6:00 p.m.
Fort Street – 4:30 p.m. – 6:00 p.m.
Highgate Village – 3:30 p.m. – 6:00 p.m.
Kamloops Columbia Place – 4:30 p.m. – 6:00 p.m.
Kelowna Mission Park – 3:00 p.m. – 4:30 p.m.
Kelowna Orchard Park – 2:00 p.m. – 3:30 p.m.
Langley – 4:30 p.m. – 6:30 p.m.
Nicola Station – 4:00 p.m. – 6:00 p.m.
Nordel Crossing – 4:30 p.m. – 6:00 p.m.
Northgate – 5:00 p.m. – 7:00 p.m.
Park Royal – 5:00 p.m. – 6:30 p.m.
Peninsula Village – 4:00 p.m. – 6:00 p.m.
Penticton Plaza – 3:00 p.m. – 4:30 p.m. Prince George Pine Centre – 2:00 p.m. – 6:00 p.m.
Richmond Brighouse – 4:00 p.m. – 6:30 p.m.
Richmond Ironwood – 2:00 p.m. – 3:30 p.m.
SOLO – 5:00 p.m. – 7:00 p.m.
Vernon – 2:00 p.m. – 3:30 p.m.
Victoria Westshore – 4:00 p.m. – 5:30 p.m.
Westwood Centre – 4:30 p.m. – 6:00 p.m.
Save the date…On Saturday, November 4th at 9:30 a.m. the 2017 Premium Spirit Release collection will be available for purchase in 30 stores across the province. Information about the release will be posted on www.bcliquorstores.comsoon. Get a chance to purchase a bottle of the coveted Pappy Van Winkle bourbon! Click here for more details on how to enter. Join the Global Canadian Whisky Ambassador Dave Mitton, as he talks about the rich history of Canadian Whisky in a special sit down master class. He will take you through the premium Northern Border Collection Rare Range – a limited edition release showcasing the depth and uniqueness of Canadian Whisky. Don’t miss out on this rare chance to learn and taste the best in Canadian Whisky! Tickets are $10 and may be purchased at any BC Liquor Store location. Join Dan Volway, Scotch Ambassador, in a special stand up preview tasting featuring Macallan’s and Highland Park’s finest releases for the 2017 Premium Spirit Release. Learn about the brand and the unique taste profiles of each of these high end whiskies in a social relaxed environment while engaging in conversations with individuals that share the same interest in scotch whisky. Note: This event is a standing room reception style tasting. 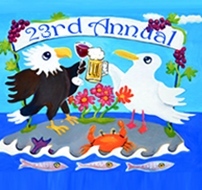 The Galiano Health Care Society is hosting its 23rd Annual Fundraising Wine & Beer Festival. Saturday, August 8th, 2015 from 1pm to 4pm. Entrance fee for general public 19+ is $45pp. The entry fee includes one wine tasting glass, one beer tasting glass as well as unlimited finger food all afternoon. This annual event is a major fundraising initiative for the Galiano Health Care Society which provides quality health care to Galiano Island residents and visitors. Galiano Island is one of the Southern Gulf Islands and is easily accessible by BC Ferry via Victoria or Vancouver. Which Wineries and Breweries Are Attending? Reserve tickets at galianowinefestival@gmail.com. or call Jenelle at 250-539-2422. Reservations are available from May 1, 2015 and close 5pm Friday, August 7th, 2015. Please note that tickets do sell fast. Purchase in advance to avoid disappointment. Our 2013 & 2014 Festivals sold out on the day of the event. As part of EAT! Vancouver there is the Canadian Flavours Gala celebrating Canadian food and wine. And I have a contest running where you have a chance to win 2 tickets to attend the Canadian Flavours Gala. Information about the event is below, followed by my contest details. Good luck and support this wonderful event. April 9, 2015 (Vancouver, BC) – Make space in your schedule for the Canadian Flavours Gala at Terminal City Club on Thursday, April 30 2015. Guests will enjoy an evening with 15 chefs from some of Canada’s best-known restaurants, sampling delicious Canadian cuisine paired with spring releases from the Naramata Bench Wineries Association. There is an impressive roster of critically acclaimed chefs and their restaurants participating at the event. It includes Andrew Winfield of Calgary’s River Café, Nicholas Nutting of Tofino’s Wolf in the Fog (chosen by Enroute as Canada’s number one restaurant), and Jeremie Bastien of Montreal’s Restaurant Leméac. From Toronto, both Chef Jesse Grasso of The Black Hoof – known for attracting movie starts to its nightly lineup – and Nick Liu of newly opened DaiLo will participate. Two alumni from Food Network Canada’s Top Chef, Carl Heinrich (Toronto’s Richmond Station) and Connie DeSousa (Calgary’s Charcut Roast House), will also attend. Executive Chef Ryan O’Flynn from the Westin Edmonton will recreate his winning dish from the 2015 Canadian Gold Medal Plates chef competition. Local participants include Executive Chef Ned Bell from The Four Seasons’ YEW seafood + bar, Eric Pateman of Edible Canada and Bella Gelateria’s hand-made gelato, named the best in the world at the international gelato competition held in Florence, Italy. The evening will include an exclusive Silent Wine Auction benefitting Vancouver Aquarium’s Ocean Wise™ sustainable seafood program, which will also receive partial proceeds from the evening. The 2015 EAT! Vancouver Food + Cooking Festival is a world class week-long food festival taking place throughout downtown Vancouver from April 26th to May 3rd, showcasing this city’s extraordinary culinary culture. Already the largest food festival in Canada, EAT! Vancouver, now in its 13th year includes hands-on workshops, collaborative chef dinners featuring top chefs from across Canada, Canadian Flavours Gala, a hospitality symposium, a pastry panel and EAT! Vancouver at BC Place, from May 1st to May 3rd . Along meandering country road with spectacular lake views is the Naramata Bench, one of Canada’s premiere wine regions and a top destination for wine enthusiasts. The renowned Naramata Bench Wineries are known for their quality wines, warm welcome, and exceptional wine events and experiences. 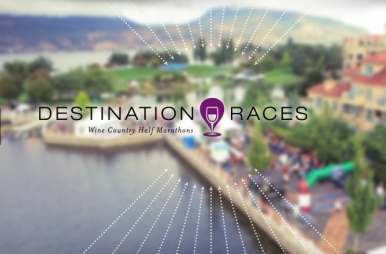 You can also get an entry by posting a comment on this post, telling me which Naramata Bench winery you would like to try at this event. Contest closes April 23, 2015 at noon. Do you love BC wine, or want to try BC wine? Here is a great chance at the 10th Anniversary Gala of the BC Wine Appreciation Society. Their announcement is below. Enjoy! our 10th Anniversary Gala celebration! Wow, do we have an amazing tasting event put together for you! We’ll be high above the city overlooking the water and mountains in the beautiful Diamond Ballroom. While you walk around and admire the view, you can sip the delightful wines of more than 45 spectacular BC wineries. Socialize with BCWAS members and guests as you savour charcuterie, delicious cheeses, roasted vegetables, bread, and of course, the wonderful crackers of our corporate member, Gone Crackers! We hope that you’ll enjoy some old favourites and discover some new favourites, too! Sign up on the order sheets that will be on each table. Once you’ve paid the wineries, they’ll send one big order to us, and we’ll sort it out and get it to you. A great and easy way to get a start on your summer sipping! and you can bring your friends along too for the same great price! Bus routes 4, 7, 9, 14, 16, 50, and 99 all stop within two blocks. We strongly suggest you do not drive but arrange alternate transport. We will have free bus tickets for your safe way home. Please make sure you have a safe way home – take transit, call a cab, or ask a friend to be a designated driver. We will have free bus tickets on hand for those of you who take Translink home. I know this post is just a little late, but holidays are needed by us all. The Taste of Tulalip is one of my favorite events of the year with great food and wine from the Tulalip Resort Casino and Washington State wineries, and more. This event sells out quickly, so avoid disappointment and get your tickets now. Here is the latest announcement from the Taste of Tulalip. Tulalip, Washington — “Buy early; get in,” says Tulalip Resort Casino President/COO Ken Kettler. He is referring to the line of disappointed Taste of Tulalip fans that were unable to enjoy the award-winning November weekend of wine, food and tradition, as the 2013 event sold out. This year tickets will go on pre-sale at 9:00 a.m. PDT on July 18. Seats for the Friday, November 14 celebration dinner may be purchased by calling (360) 716-6888, and the passes for the Saturday, November 15 events can be paid for via Ticketmaster at http://www.ticketmaster.com/. The weekend kicks-off with Friday night’s multi-course Celebration Dinner, prepared by Executive Chef Perry Mascitti and his team, paired with premium wines from around the globe selected by sommelier Tommy Thompson. Seating is limited to 400 guests. Saturday is filled with a plethora of wine and food demos, chef challenges, a wine seminar, a VIP Magnum party and is capped with the Grand Taste – featuring over 120 wineries from Washington, Oregon, California, New Zealand and Germany, along with a craft beer “pool garden”. Attendance is limited to 2,000. Taste of Tulalip’s 2014 culinary guest stars include public television show host and producer Ming Tsai along with wine columnist, author and educator Anthony Giglio. Both will be featured at events throughout the weekend. The honorary winemaker is Woodinville Wine Cellar’s maestro Sean Boyd. Local Fox Q13 television celeb Bill Wixey returns for a second year as guest emcee and will be joined by fellow team member Kaci Aitchison. Hotel rooms and spa appointments will become near and dear during this two-day extravaganza. Kettler also suggests that guests reserve their getaway room early at the AAA Four Diamond resort by going to http://www.tulalipresort.com or phoning 1-866-716-7162. Moving from the small, seaside city of Castellon, I was entertained by the Old World charm of Valencia, and the youthful vibrancy of Barcelona. But with one thing still on my mind: Paella! The locals say that the best paella is always found at restaurants along the beach. So while in Valencia, I headed to the beach, with it’s beautiful silky, sand, and sun tanned bodied, and found the restaurant of my quest; “Restaurante La Pepica“. This restaurant is an establishement to say the least, being located there for more than 100 years, and being visited by such celebrities such as Ernest Hemmingway! They must know what they are doing with paella, and I was right. Although Paella Valenciana, made with chicken and rabbit, is the namesake for Valencia, I was on the beach, and needed to try seafood, so I ordered Paella Mariscos. The paella came, with the rice forming a thin layer in the pan. I could see that the edges of the pan had bits of “burnt” rice, which is crunchy and one of my favourite parts of a rice dish. The paella was made simply, topped with prawns, then mixed in the rice were fish, shrimp and squid. The rice was al dente, but I think that this is normal, as I’ve tried 7 paellas to date and all but 1 were al dente. Squeezing lemon on the dish allowed the citrus flavours to brighten the earthiness from the spices in the rice, and make the seafood come alive. This was the perfect paella while I have been in Spain. 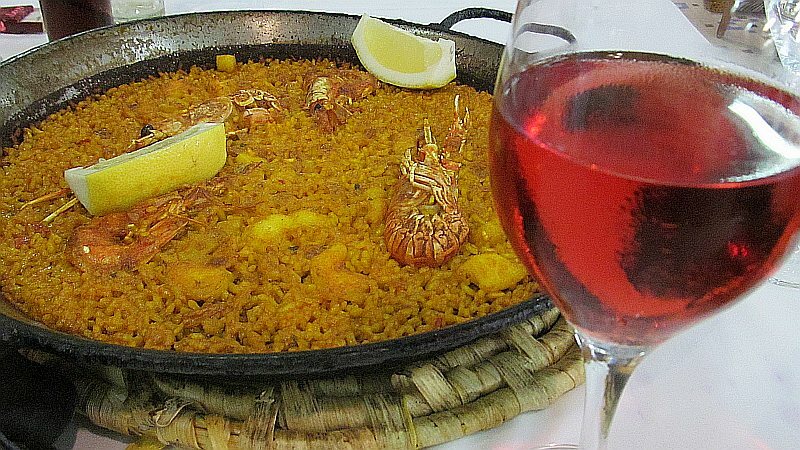 To enjoy with this paella, I of course had a bottle of wine; a local rosado from the Valencia region. It was made from Cabernet Sauvignon, which is quite surprising, but it was very tasty with sour cherries and strawberry flavours and a very smooth round mouthfeel. A perfect pairing. If you ever go to Valencia, Spain, visit Restaurante La Pepica, and raise a toast to Ernest Hemmingway!